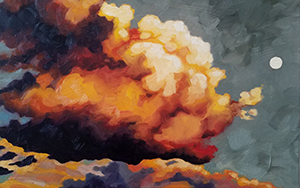 This class is preceded by Intro to Color (Level 1) Oil Painting, Intro to Black and White Oil Painting, and Intro to Monochromatic Oil Painting. Attendance at one of the level 1 classes is a prerequisite for Intro to Color Level 2, or equivalent experience. If you are curious as to if this class is a good fit for your experience level, please contact our instructor at jpreble@live.com. Level 2 expands our subject matter to more complex still lives and reference material, with a higher level of expectations and refinement of techniques and your artistic voice.